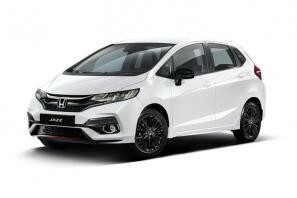 Find the best Honda Jazz leasing deals at CarLeasing.co.uk. First launched in 2001, the Honda Jazz has since received a makeover. The wide opening space from the doors provide easy access in and out of the car for passengers that require a little more room. The redesign also saw the introduction of a larger boot space and a more slick and stylish look. Find your perfect Honda Jazz by browsing our deals below. Choose from a range of optional extras and even insurance or maintenance if you want complete peace of mind. Our latest Honda Jazz leasing deals. Click the links below to view our latest Honda Jazz leasing options. 3 reasons to lease your next Honda Jazz from us. We deliver your brand new Honda Jazz vehicle for no additional cost.